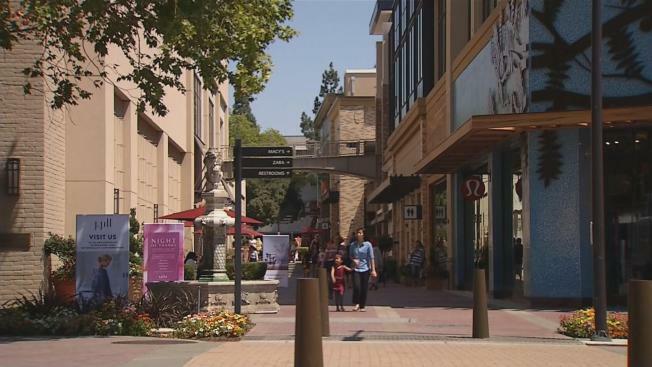 Thieves appear to be trying to cash in on downtown Walnut Creek's expansion, and now police are warning the public to be on the lookout for pick-pockets, authorities said. The recent $250 million renovation to Broadway Plaza includes several new restaurants and has attracted many visitors to downtown Walnut Creek. One popoular establishment on Locust Street caught two women swiping wallets. It only takes a second, police said. "Oh, that’s pretty scary," said Sonja Vandervelden, a restaurant patron. The surveillance footage shows a woman pretending to be on the phone while the other female suspect casually leans over to grab the victim's wallet from inside of her purse. Then, the thieves takes off. "Shortly thereafter, while the victims are still eating, they get an alert on their phone that says their credit card is being used over at Sun Valley mall," said Lt. Lanny Edwards. The same crime has happened at least three other times at different downtown restaurants, most recently on Aug. 5, police said. "It’s shocking that would happen in Walnut Creek," resident John Goodman said. According to Walnut Creek crime data, shoplifting also is on the rise, spiking by 47 percent from 2014 to 2015, and it continues to rise this year. "The mall has been under construction for the last two years, and now that’s its coming back up, we have a lot more people to coming to town," Edwards said. Police not only have installed more security cameras but also are stepping up patrols in the area. But they could not emphasize enough that the public should beware of their surroundings and keep an eye on personal belongings.